On Pentecost Sunday, June 2, 1974, the St. John and First Lutheran churches of Lock Haven marked the end of an era in the life of the Lutheran Church in Lock Haven. On that day, both Lutheran Parishes conducted their last worship services as separate churches. Originally, Lutheran services in Lock Haven were conducted in the German language by residents who had emigrated from Germany with their families to build a new life in the United States. The first worship services were held in private homes, then later in the Town Hall, Court House and the ODD Fellows Hall. As the English language became predominant in the community, the congregation split into two factions. One group wished to retain the German-tongue liturgy while the other group pushed for services to be held in English. For a short time they maintained an English-German church with services held in both languages conducted by visiting clergymen and missionaries who traveled from Williamsport or Sellinsgrove once a month. German speaking faction. A few months later, St. John Church was established, providing Lock Haven with two Lutheran parishes. On January 10, 1937, St. Mathews Lutheran Church (Missouri Synod) was established. Six people began the church in the home of Max Portratz, on the corner of Fairview and Bellefonte Avenue. The congregation disbanded on June 12, 1964. The First Church, oldest church building still standing in Lock Haven was originally built by the Great Island Presbyterian congregation on E. Water St. 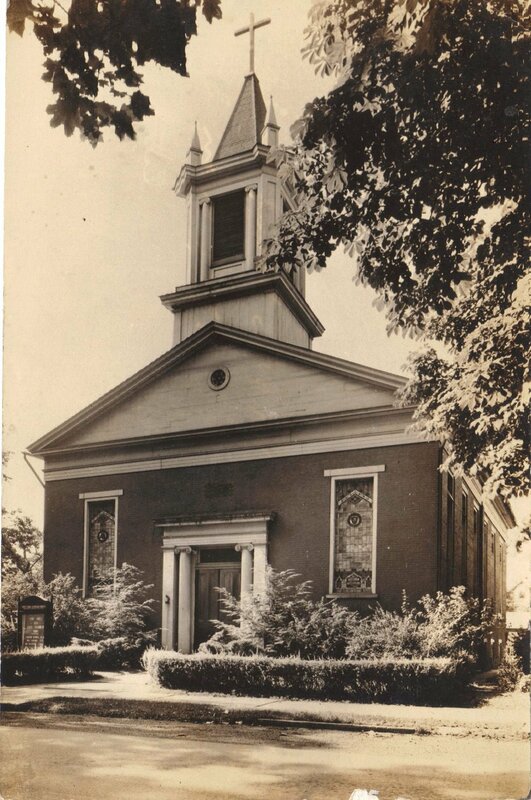 The building was purchased by the German speaking Lutheran congregation for $3500 in December 1863, when the Presbyterians moved into their new building. The English speaking congregation of St. John’s met for several years in the Old Lock Haven Academy and then the Odd Fellows Hall until construction of the red brick building on First and Church Sts. was completed. The church was dedicated on July 5, 1874, and today serves as the home of United Lutheran. In 1980, the congregation of United Lutheran transferred the deed of the First Church building to the Lock Haven Area Jaycees to serve as a meeting place for civic and social organizations. On September 1, 2010 United Evangelical Lutheran Church joined St. John Lutheran-Booneville, St. Paul’s Lutheran-Loganton, Salona Lutheran-Salona and St. Paul Lutheran-Mill Hall to form the Southern Clinton County Lutheran Parish. Rev. W. Stevens Shipman was installed on October 10, 2010.